Mountain peace guesthouse is a family run guesthouse at the edge of bustling Thamel, 15min walking distance from some of Kathmandu's main tourist attraction like Durbar square . 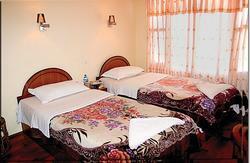 We provide Nepali type rooms for every budget, from shared showers (hot & cold) to rooms with TV and bathroom included. 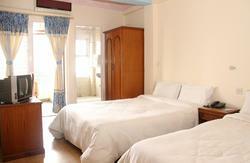 Free Wi-fi in all rooms and a backup power source so Kathmandu's power cuts will not disturb you during your stay. 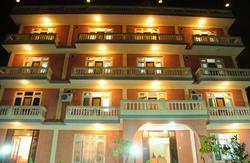 The staffs all speak English well and are happy to help you with any problem. We have an in house travel desk, where you can book your tours, buses, air ticket etc. There is a free airport pick up (proving you stay at least 7days) and you can store your luggage for free, ideal for trekking. At the end of the day you can relax at our rooftop terrace.